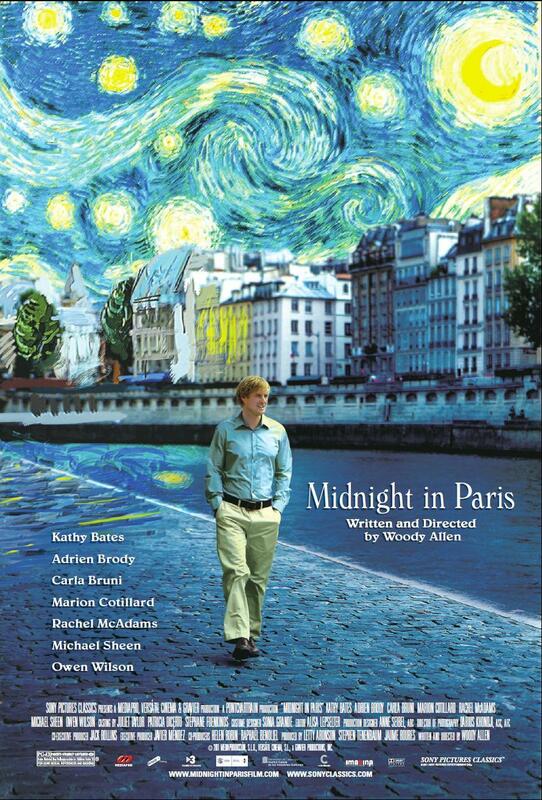 I recently re-watched Woody Allen’s 2011 film Midnight in Paris, which has long been a favourite of mine. It’s a film made for writers, a type of nostalgic wish-fulfillment. The protagonist, Gil, is a successful yet unhappy writer who is on holiday in Paris. 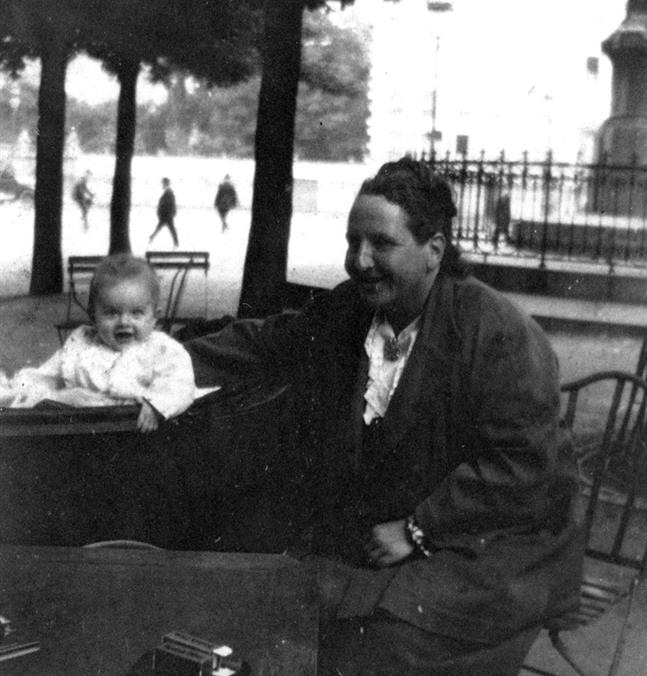 Whilst walking the streets at midnight, he slips back in time to the 1920s, where he meets Scott and Zelda Fitzgerald, Ernest Hemingway, Salvador Dalí, Cole Porter, Pablo Picasso – among others – and is able to have a draft of his novel critiqued by Gertrude Stein. It’s every writer’s fantasy. But let’s indulge the fantasy. Why not? I have a real passion for history, one that seemingly clashes with my adoration of a genre that is (supposedly) focused on the future. And I definitely have my favourite historical periods. If I could visit (or live in) any historical era, which would I choose? Which era captures my Golden Age nostalgia? It’s no surprise that Midnight in Paris features the first two choices on my list. Woody Allen’s depiction of the Lost Generation is wonderfully sentimental. Paris in the 1920s was, in Hemingway’s words, a moveable feast – a cultural mélange of writers and artists, critics and dreamers. It’s the landscape where disaffected young men struggled to find meaning after the turmoil of the Great War. It’s those long nights at Parisian cafes, parties that lasted forever, taxi rides in the rain, and summer trips to Pamplona to see the bull fights. It’s the place of the great writers: Hemingway, Fitzgerald, Stein. It’s the place of the surrealists: Picasso, Ray, Buñuel. It’s a heady mix of decadence and despair, the inevitable outcome of a war that shattered a generation. And yet it’s only a few years away from Orwell’s impoverished experiences in Down and Out in Paris and London; a stark contrast to the privileged position of Hemingway’s expatriates. Visiting the Roaring Twenties of Fitzgerald’s The Great Gatsby would also be quite tempting, but there’s something just slightly more romantic about Hemingway’s Paris. Fitzgerald’s characters are made aloof by their wealth and class, whereas Hemingway’s characters seem so much more sympathetic. 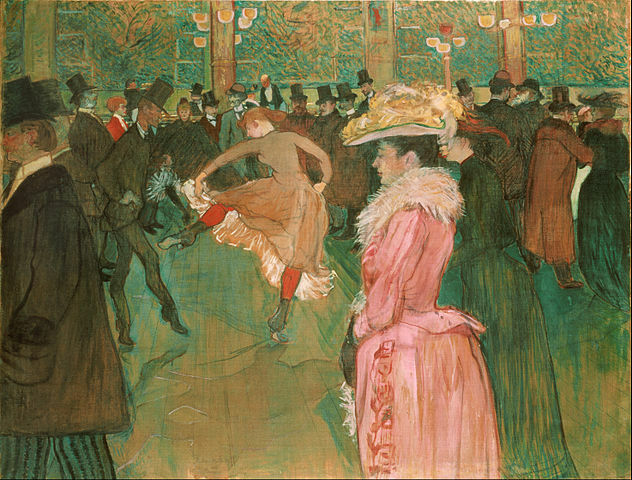 And then there’s Paris in the 1880s and 1890s: the era of Toulouse-Lautrec and Van Gogh, Post-Impressionism and Art Nouveau, absinthe and cancan dancers at the Moulin Rouge. Underneath it all, there’s the simmering fin de siècle fear of degeneration and decadence. My passion for the era was first stimulated by films – particularly Baz Luhrmann’s Moulin Rouge! – but it has since been sustained by a genuine admiration of Post-Impressionism in the arts, as well as an interest in fin de siècle narratives. Part of my PhD thesis looked at H.G. Wells and the theme of degeneration in his work; it’s something that haunts the literature of the late nineteenth century, the hidden beast beneath the veneer of civilization. It isn’t just the artistic side of me that is attracted to Paris in the Belle Époque. The Eiffel Tower was erected in 1889 for the World’s Fair, becoming the tallest man-made structure in the world. 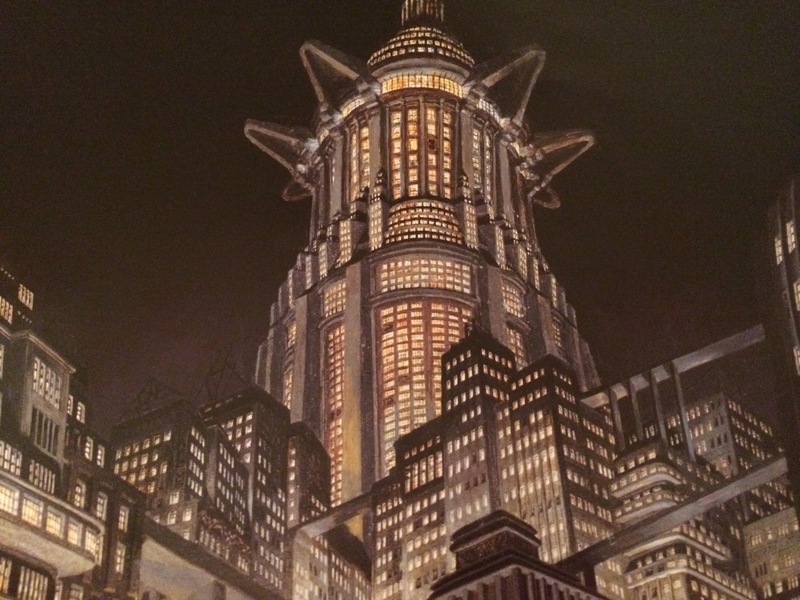 It was a grandiose monument for a civilization facing a new era. Due to an unusual low in solar activity, as well as volcanic ash being injected into the atmosphere following the eruption of Mount Tambora, 1816 was known as the Year Without a Summer. It was a pretty bleak time. Global temperatures dropped by over half of a degree. Parts of Europe experienced snowfall in the middle of summer. The crop shortages led to mass starvation, and it is estimated that ~200,000 people died in Europe alone. But it also inspired some incredible artistic projects. At the Villa Diodati, on the shores of Lake Geneva, Lord Byron gathered with Percy and Mary Shelley and John Polidori. It was during this dreary summer that they had the famous ghost story competition that led to the composition of Mary Shelley’s Frankenstein and Polidori’s The Vampyre. Lord Byron was also inspired to write “Darkness,” which remains one of my favourite second-generation Romantic poems. In fact, the whole Romantic poetry movement was building towards a crescendo in 1816. Shelley’s Alastor was published, alongside Coleridge’s Kubla Khan and Christabel. Keats wrote his first great poem, “Much have I travelled in the realms of gold,” and Byron wrote the third Canto of Childe Harold. It may have not been a Golden Age for civilization, but it was certainly the Golden Age for Byron and his Romantic contemporaries. My last Golden Age spans a decade – 1600 to 1610 – which straddles two eras that I find fascinating. It begins with the final years of the Elizabethan era in England, and ends with Galileo’s telescopic discoveries in Padua. The poetry, music, and literature that came out of Elizabethan England marks this as a high point of the Renaissance. Who could resist going to the premiere of Shakespeare’s Romeo and Juliet or Hamlet? It was also a time of rapid expansion for the English Empire. With the defeat of the Spanish Armada in 1588, England was poised to become the greatest seafaring empire in the world. I can only imagine the optimism and excitement that existed under Elizabeth’s reign. On the other end of this decade, in 1609, Galileo demonstrated his new telescope to the Doge of Venice and began to earnestly promote his belief that the Sun was the centre of the Solar System. At the same time, Kepler had published his first two laws of planetary motion. It marked a turning point in the Scientific Revolution, when the Church would have to seriously address the nascent heliocentrism that was infecting the scientific community. Science was beginning to separate from the Church. 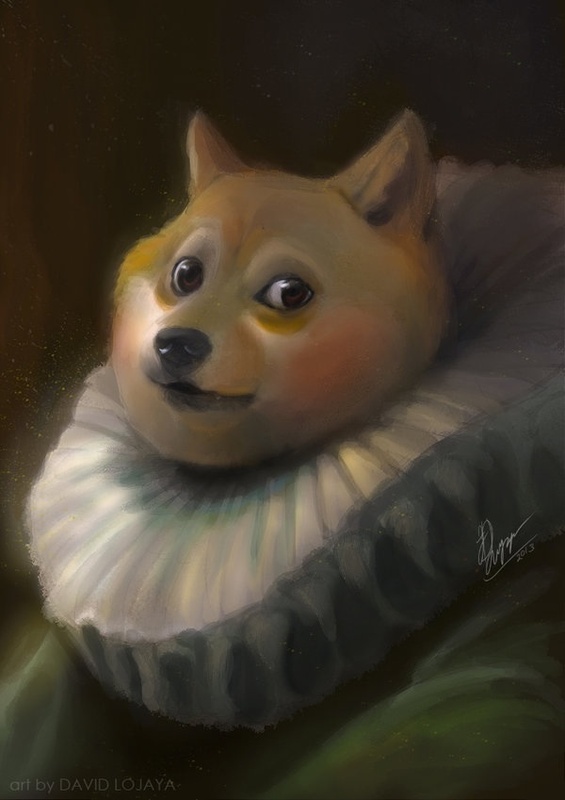 An artist’s depiction of the Doge of Venice. So after this sentimental jaunt through history, I’ll put the same question out to my readers: what historical era would you like to visit? Next Post: Does science fiction need plausible science? Undoubtedly for me it’s Elizabethan/Jacobean England, the dawn not only of the modern world but of modern speech and thought. A world of remarkably free expression and new thinking, but dominated by a police state and religious terrorism on a modern scale. The tension in the streets was so thick you would have been able to cut it with a knife. When I speak of this golden age, I speak not only of Shakespeare’s revolutionary approach to theatre and it really was revolutionary in every sense of that word, but there was Kit Marlowe, gentleman spy and playwright! Doctor Faustus! What a play! A true expression of the heady mix of religion and science! This was theatre’s golden age, attended by every social class and potently political. When King James first saw Shakespeare’s Macbeth it is rumoured that he was so disturbed by it that he placed a ban on it’s performance. Many point to the occult themes of the play as perhaps what caused offence to James, but I would hazard that a play about the assasination of a Scottish King in the wake of the gunpowder treason was perhaps a little too close to the bone. It is one of the few things that the Roland Emmerich film ‘Anonymous’ got right. Shakespeare was definitely a politician and so were his compatriots. The best part about all of this? There was no culture of celebrity. Shakespeare, Johnson, Marlowe, Kyd, you could find them all down the local pub afterwards. Here in Elizabethan England art makers were not the guru on the mountain, but rather the observer in the street and the jester in the court. What a time to be alive! Finally, if you needed any other reason to think this age was the best, it was safer to drink beer and wine than water! As a result, everyone was drunk.. ALL THE TIME. For me it would have to be Ancient Athens. I would love to visit the Agora in full swing, maybe have a brief chat with Plato or Socrates… ha.